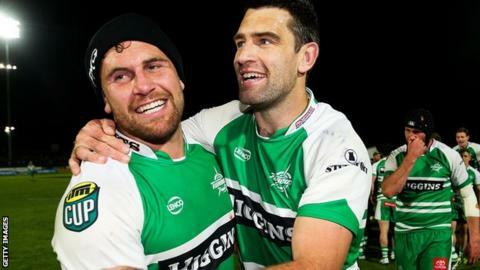 New Zealander Nick Crosswell has agreed to join Newport Gwent Dragons next month on a long-term contract. The back-row forward, 28, is captain of New Zealand's Manawatu Turbos and has made 81 appearances for the province. The Maori All Black played Super 14 rugby for the Chiefs in 2013 and 2014. "Nick is an experienced Super rugby player and has the right type of personality and leadership qualities that we want at Rodney Parade," said Newport director of rugby Lyn Jones. "With greater depth to our squad, we can achieve higher consistent levels of performance, from week to week. Signing Nick shows the board's vision in wanting more success on the field."